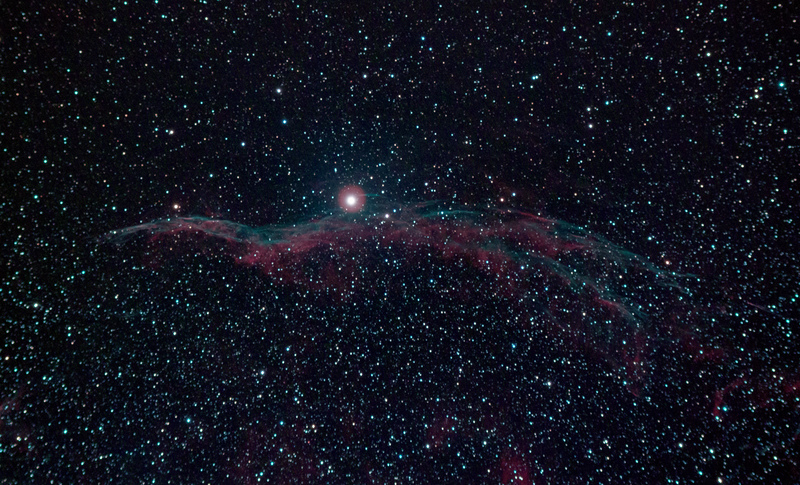 This Image of the Western Veil Nebula (NGC 6960) was captured at Kelling Heath in September 2015. 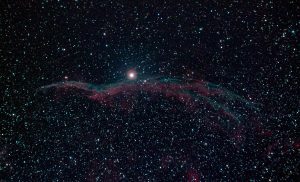 It’s around 2 hours of exposure with my modded Canon 1100D with my Starwave 102ED mounted on the HEQ5 and guided by my Lodestar via the Altair 10×60 finder guider. Its about 2 hours of 5-minute subs, with darks, flats and bias frames. All stacked in the last few days in MaximDL, and post-processed in Photoshop and Lightroom. I did produce a version of this back in 2015, but was never happy with it. This version is far better after using Maxim to stack and pre-process. This is absolutely magnificent!! Good job, Adam! Cheers Emad 🙂 The Starwave continues to do good service!